Government forces directed by SEELE have penetrated NERV and are heading for the command center. Outside, Asuka hurls Unit-02 against a relentless assault by mass-produced Evas. 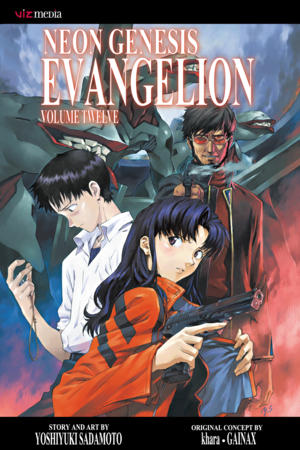 Inside the base, Shinji confronts his father Gendo for what may be the last time and learns the terrifying truth of his father's motivations. Misato may be able to help Shinji escape momentarily, but Shinji is trapped by fate--only he can pilot Unit-01 in the climactic battle for the fate of humanity!